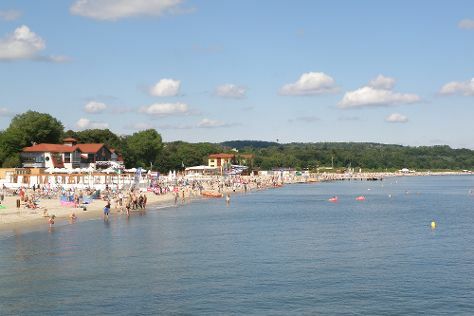 We've included these beaches for you: Sopot Beach and Stogi Beach. Family-friendly places like Jelitkowo Beach and Jurata Beach will thrill your kids. Venture out of the city with trips to Malbork Castle Museum (in Malbork), Public Library in Rumia (in Rumia) and Gdynia Beach (in Gdynia). And it doesn't end there: take in the spiritual surroundings of St. Mary's Church, take in panoramic vistas at Sopot Pier, pause for some serene contemplation at Oliwa Cathedral, and wander the streets of Old Town. To find traveler tips, ratings, more things to do, and more tourist information, read Gdansk online visit planner . If you are flying in from Iceland, the closest major airport is Gdańsk Lech Wałęsa Airport. In July, daytime highs in Gdansk are 25°C, while nighttime lows are 15°C. Wrap up your sightseeing on the 31st (Tue) early enough to travel back home.